"Why hasn't letterpress died? 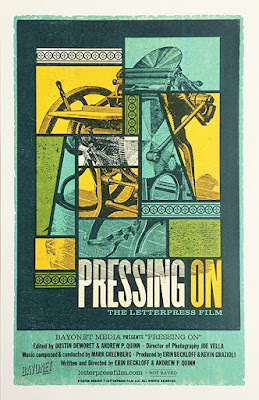 It's a good question, but I don't have an answer for it," notes one interviewee early on a propos the subject of the new documentary, PRESSING ON: THE LETTERPRESS FILM. 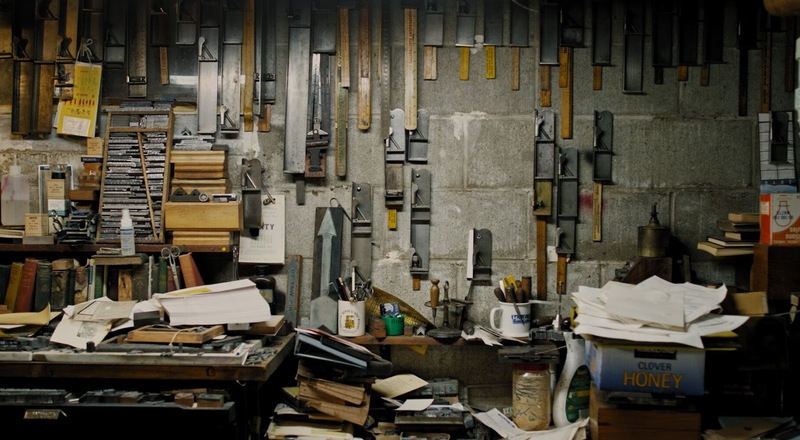 The form of printing from the time of Gutenberg through the 20th century -- until offset printing mostly took its place (only to find itself being replaced in the 21st century via the computer and the internet) -- letterpress was and is something special. 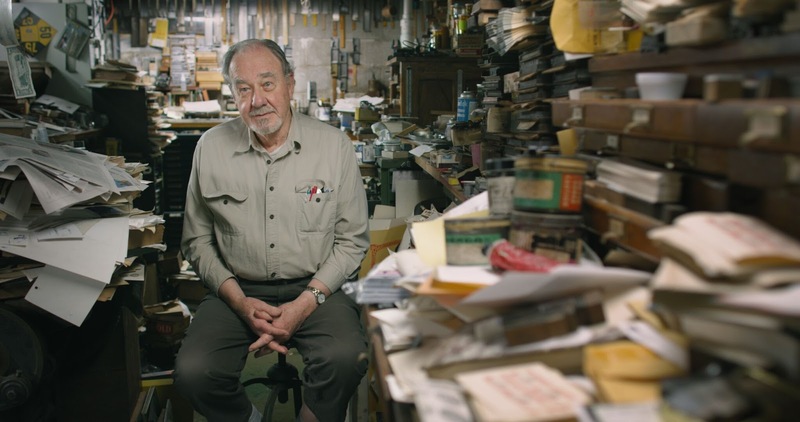 TrustMovies' interest in this form of printing began early in his career, when he worked during the late 1960s for Prentice-Hall Publishing in New Jersey, where he wrote and designed advertising brochures and interacted with printers as the brochures came to completion. 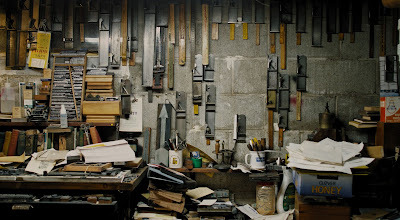 Even then, letterpress was on the wane, yet it was always something of a surprise and a joy to be able to feel that extra dimension of raised ink on paper rather than only being able to see it, as with offset printing, where the ink is absorbed into the paper. Now, I fully understand if most laymen who have had no experience in or connection with the printing industry might imagine that they would not be interested in this new documentary. Well, wait a minute. 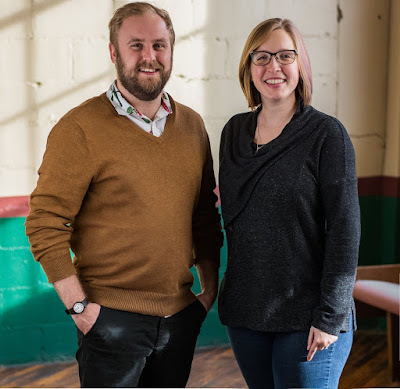 As directed, written and co-produced by Erin Beckloff and Andrew P. Quinn, shown above with Ms Beckloff on the right, the documentary is absolutely interesting enough -- from angles historical, artistic and human -- to fully engage, amuse and move any intelligent fan of documentary films. 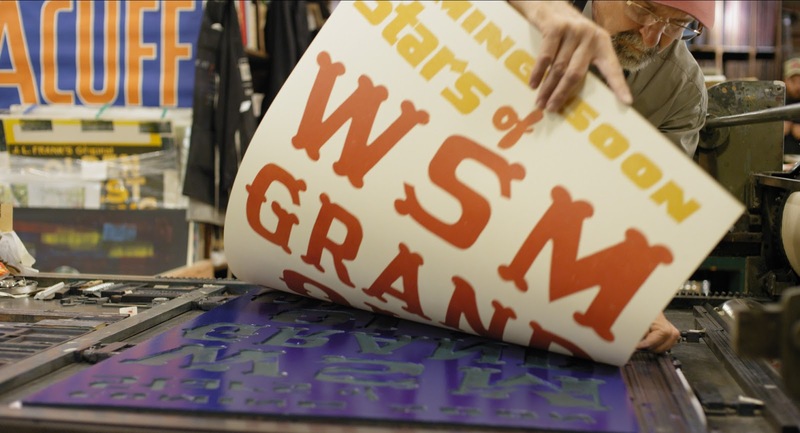 You may come into the movie wondering why, but you'll leave it with renewed appreciation for printing art and the folk who make it. 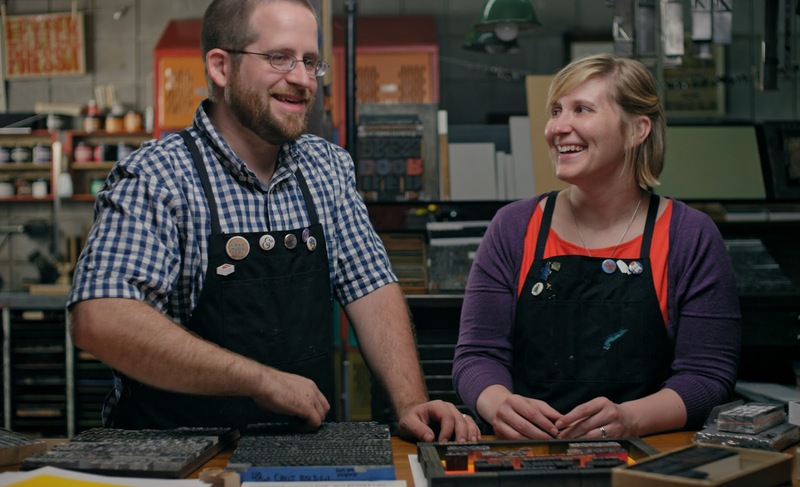 By the time we've met and spent some time with the adorable Iowa couple who collects printing presses (above), the Illinois retiree who opened up a Museum of Printing, and a number of other fascinating and fun folk, we're more than hooked. Watching that Iowa couple move a mammoth printing press out of a basement with the help of a tow truck and driver provides more suspense than a number of would-be thrillers I've seen. 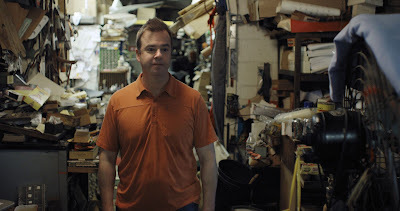 Beautifully photographed -- crisp, clean, colorful and composed -- by Joseph Vella, above -- the documentary is a consistent pleasure to view. And when, some time along the way, one of our interviewees suddenly dies, and we see and hear from his son, below, the scene is particularly moving. We feel the loss. 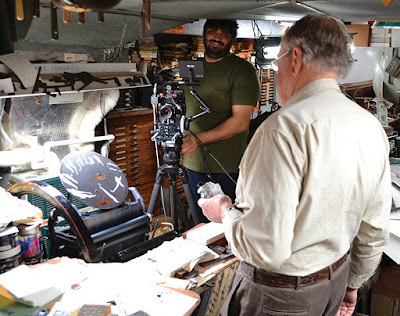 As we watch Hatch Show prints come off a letterpress, below, and see its owner 's enthusiasm, it's easy to feel just as enthused, for we realize that these people are often printers, artists and designers. Whatever you call them, what they produce is worthwhile. As one of them tells us, "It's history!" Says another, "I'll keep printing until the hearse shows up." From the cinematography to the music to the ideas to the talk, this is one classy, informative documentary. 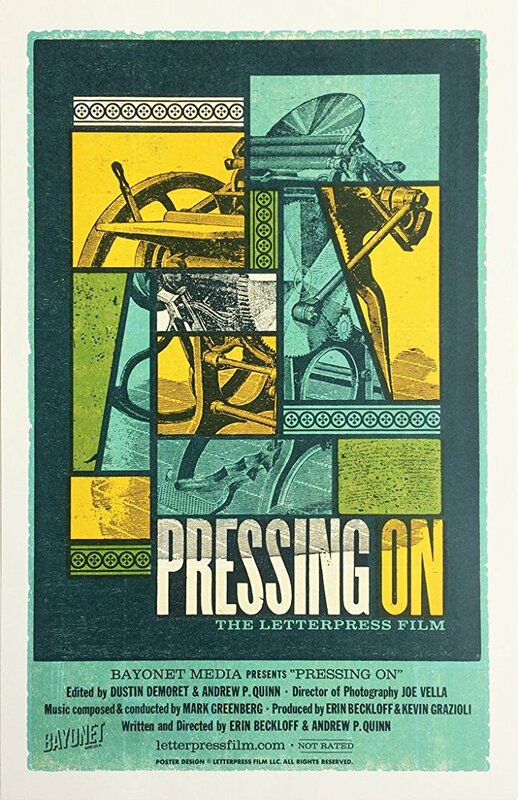 From Bayonet Media and running 101 minutes, Pressing On: The Letterpress Film hits VOD and DVD this coming Tuesday, June 19 -- for purchase and/or rental.